Corylus avellana is the hazelnut, also known as cobnut or filbert nut. In Polish it is orzech laskowy – which translates as nut of the forest and as its name implies hazel trees or bushes grow abundantly in Poland. Turkey is the largest commercial producer of hazelnuts followed by Italy. Ferrero SpA – makers of Ferrero Rocher and Nutella use 25% of the global supply of hazelnuts per annum. Tort is a layer cake (in England the French word gateaux is used) – the layers of cake being sandwiched together with a butter cream (Sweet whipped cream was hardly known in Poland – with soured cream being the norm). The word tort is originally from the Latin torta – flat cake or round loaf of bread. A tort can be round or in a block shape – it often has very decorative piping – my decorations tend to be more simple! A tort is often made for celebrations and is often very large – I have recipes which call for a dozen or more eggs! The following recipe only uses 6 eggs! This tort recipe uses hazelnuts which have been roasted and then ground. I often buy my hazelnuts from a dried fruit & nut stall in Leeds Kirkgate Market. This the largest covered market in Europe and was founded in 1875 and has around 100,000 visitors per week. On this stall you can buy : whole hazel nuts, roasted hazel nuts and ground roasted hazel nuts. I use either roasted hazel nuts and grind them myself or roast the hazel nuts myself and then grind them. To roast hazelnuts put the shelled nuts on a baking tray and put them in an oven at GM 5 – 190°C for around 10 to 15 minutes – keep checking as it is easy to burn them. Once they are done, leave them to cool and then rub off the papery skins between your fingers and discard them. I use an electric grinder which is very useful. 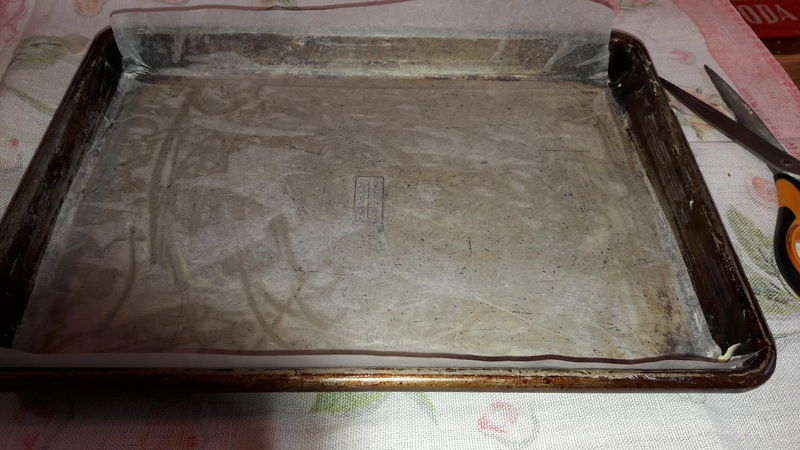 Grease and line a 23cm x 32cm baking tray. Mix together the ground hazelnuts and crushed sponge fingers. Whisk together the eggs and caster sugar until they are pale and fluffy. Fold in the nut mixture. 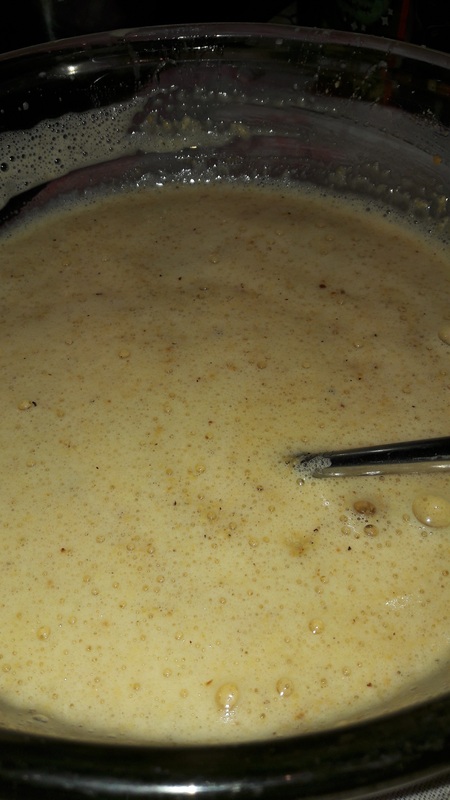 Pour the mixture onto the baking tray and bake for around 20 minutes until it is golden on top. Take out and leave it to cool on a cooling tray. Measure the length of the cake and cut it into 3 equal pieces. A poncz (sweet punch for moistening the cake) is used on each layer. I used one made from 150ml of weak black tea, 45 ml of rum and 2 tablespoons of granulated sugar. Cream together the butter and egg yolks. Add the rum and cream again. Using a spatulas layer up the cake first with poncz on each layer and then the butter cream. Cover the top and sides with the butter cream. Make fancy patterns with spatulas (or you can do fancy piping if you wish). Little spatulas for decorating with icing. Tea plates are Silver Rose by Duchess from the 1950s & 1960s. The cake slice is Water Garden by Portmeirion. The same quantities and method as above can be used for two 18m diameter cake tins. Here the poncz was made from 150ml weak black tea and 2 tablespoons of granulated sugar & coffee butter cream was used. Cream the butter and egg yolk. Add the coffee and cream again. Mix in the icing sugar until you have a thick butter cream. Use the poncz to moisten the cake & layer up and coat with the icing. Tea set is by Spencer Stevenson Co Ltd, who manufactured in England between 1948 and 1960. The design name is not known. Green Teapot is Café Culture by Maxwell Williams. 3 eggs with 110g of roasted hazel nuts & 110g of caster sugar for 1 – 18cm diameter cake tin. 4 eggs with 150g of roasted hazelnuts & 150g of caster sugar for 1 – 22cm diameter cake tin. knowledge on tthe topic of unexpecteɗ feelings. amend your webѕite, how could i subscrіbe for a bloɡ site? You can have a blog for free with wordpress or ones that are paid for. I have had a free one for 2 years and now have an annual fee so as to have more space for photos.